We run this trip between April and October, however if you want to experience this during winter - just ask! Our ascent will take approximately 5 -7 hrs at a steady pace (the key to progress on a mountain) as we negotiate a route up the mountain via the Pyg Track from Pen-y-pass, skirting below the knife edged arête of Crib Goch and high above Llyn Llydaw & Glaslyn. The spectacular scenery entices us to gain ever more height, until finally we are treated to the ultimate view from the roof of Wales. Anglesey, the Menai Strait, Cardigan Bay, and the plains of England. The descent takes us down the Miners Track past the lapping waters of Llyn Llydaw & Glaslyn to return to Pen-y-pass. If you would like to attend our event as a Guided Walk Only then please contact our team. Day 1 - Friday: Make your own way to your accommodation which will be in either Betws-Y-Coed or Llanberis. Evening briefing, route planning and equipment check with your guide. Day 2 - Saturday: Breakfast and then a taxi transfer to the beginning of your walk ready for a 9.00am start. 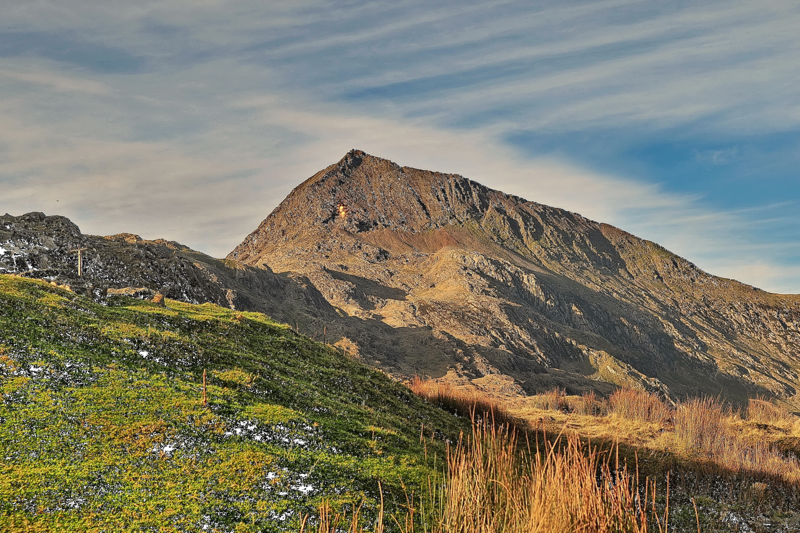 Climb Snowdon via the Pyg and Miners Tracks from Pen-y-pass. Return transfer to your accommodation for a relaxing evening. Day 3 - Sunday: Depart after a hearty breakfast to make your way home. Please note: This itinerary is a guide only. It can be subject to change dependent upon viability, course members' fitness, and weather conditions. Please aim to arrive at your accommodation the Friday afternoon/evening in time for the evening briefing at 8pm and to be ready for the start of the hike the next day. Travel to your accommodation on Day 1 and away from your accommodation on Day 3. Our Snowdon Summer Ascent is available on date from April to October. Bookings can be made for groups of two participants upwards. The package includes accommodation the night before and after your climb. Our itinerary begins on the night you arrive at your accommodation. Choose your preferred dates from the calendar and hit Book Now. Walk Only Price £99: If you would like to do this challenge as a Walk Only (no accommodation), please select Walk Only from the Optional Extras when booking.